Just missing Halloween by a few days, a new 4k digital restoration of the one, the only, the original Night Of The Living Dead will be have its world premiere at the Museum Of Modern Art’s To Save And Project Festival on November 5th. 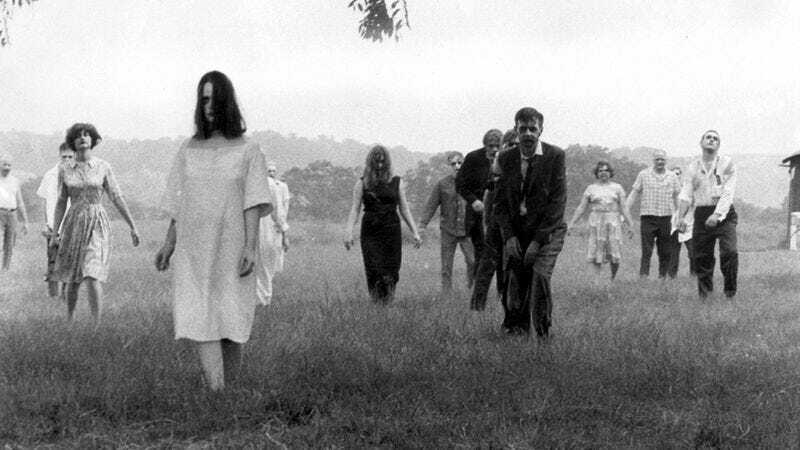 Night Of The Living Dead has arguably had more home-video releases than all of the Star Wars films combined over the past 50 years, thanks to its public-domain status. The story goes that the original 1968 print of George Romero’s influential shocker was missing a copyright notice, leaving the film open to duplication and public re-release (and whatever the hell John Russo felt like doing with it). That’s why copies could always be found in the .99 bin at any local drug store, most of them looking all messed up. There have also been some very good re-releases of George Romero’s film along the way—particularly Elite’s late ’90s laserdisc edition, which eventually made its way to DVD—but this new restoration appears to be something special. You’ll practically smell the leather on Johnny’s cool guy driving gloves. The new 4k restoration of Night Of The Living Dead will screen at the Museum Of Modern Art in New York on November 5. Tickets for this event are available here.